We've seen numerous gaming consoles brought up by independent companies looking to rival the big guys at Sony and Microsoft, with the power of less costly consoles and games. The GameStick is a unique, $79 portable-sized gaming console powered by Android Jelly Bean that fits into your pocket. It's a dual analog stick controller and a console all in one package, and it connects to your TV using a small HDMI dongle which then wirelessly pairs up with the GameStick console controller over Bluetooth. 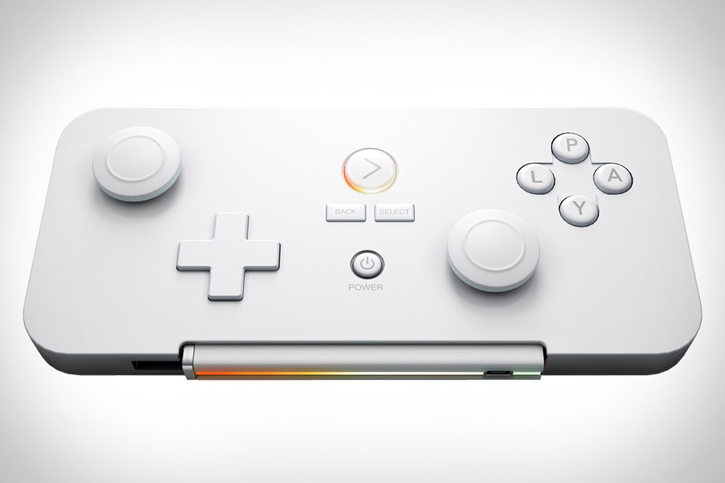 So while it's not the next PlayStation Vita, it is the next modern portable TV gaming console. The hardware is able to support full 1080p HD streaming of content, and it consists of an Amlogic 8726-MX processor with 1GB of RAM, 8GB of flash storage, WiFi 802.11b/g/n and Bluetooth 4.0. Gamers will of course have direct access to the Android ecosystem of affordable games, and as many as 200 titles which are fully compatible with the GameStick. Although the GameStick features very little on-board flash storage, users will also have access to cloud storage for games. The company behind the GameStick console controller are working with developers to bring more compatible content that is both free and affordably priced. No word yet on battery performance or access to movie and music content via the Android marketplace. Where can you get one? You guessed it, it's available for pre-order now on Kickstarter.